Cart2Cart opens new possibilities for PrestaShop migration! 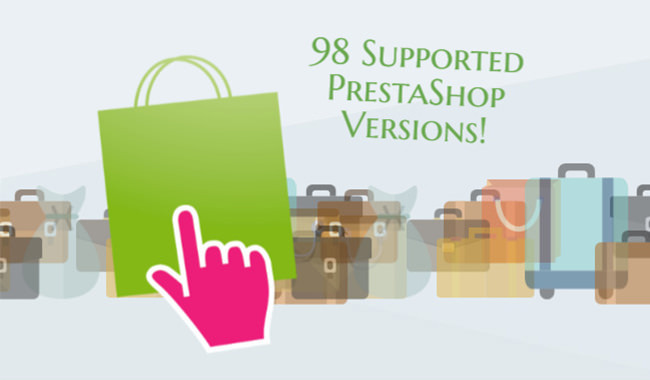 From now on, we support PrestaShop in all its variety - 98 versions are available for migration absolutely automatically. PrestaShop is taking e-Commerce market by storm and considered to be one of the most appealing solution out there. Due to its unique possibilities, this solution is chosen and passionately loved by more than 200,000 merchants all over the world. Being official partners, Cart2Cart made the impossible to eliminate every barrier on the way of migration to PrestaShop. Starting from now, Cart2Cart provides the best migration and upgrade conditions supporting all 98 Presta versions. It means that you can easily upgrade your current e-store or migrate from one of 60+ platforms to the newest version of PrestaShop. PrestaShop Cloud Support is Coming Soon! Get ready for even better announcements in the nearest future! Besides already available versions, Cart2Cart is about to support a new hosted solution - PrestaShop Cloud. Having all the major features of self-hosted version, Cloud platform will liberate you from hosting troubles absolutely for free! This solution will give you an opportunity to focus on merchandise enjoying a great functionality of PrestaShop. Don’t lose your chance to experience all the benefits of migration with Cart2Cart! Try out your e-store on PrestaShop using free Demo Migration!